Here are some photos of a recent photo shoot of the KWIKFILMS Supra. Photographer Cesar Andre incorporated several rig shots to produce spectacular photos of the Deep Jewel Green Toyota Supra. One of these photos will be used on the KWIKFILMS business card... Can you guess which one? Honda has been known for a couple things, it's performance super car the Acura NSX, the S2000 convertible and it's Type-R branded vehicles. I remember back in the days, ricer cars would put Type-R badges to feel special... But owning an actual Type-R was something special. You get suburb suspension, a high revving motor, and decent horsepower. Now Honda has confirmed that it is ending production of it's Honda Civic Type-R 4 door vehicle. The Civic Si is the closest thing we had to the Type-R since Integra. There's no word if another Civic Type R is in the works, especially with Honda's larger focus on hybrid cars taking up most of the research and development money. KWIKFILMS has teamed up with the Ferrari Club of America San Diego Chapter to produce a DVD of the 2010 Bella Italia Car Show. We're very excited about this project. 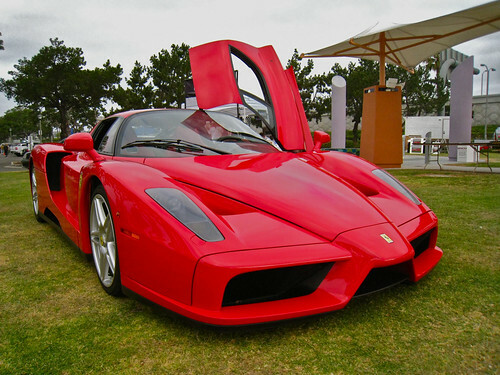 Who wouldn't want to produce a DVD featuring the hottest Italian exotic cars in Southern California. All six hours of footage from the Panasonic HMC40 and the additional footage from Rob Buchanan's Canon 7D has been transferred to the Mac Pro. Now Frank needs to go over the footage... This is one of the most time consuming parts of the editing process. We're now in the process of scheduling appointments with Ferrari owners to be featured on the DVD. Make sure to come back for more photos and trailers!